This week’s show is brought to you by Thinkst Canary! Thinkst founder Haroon Meer will be along in this week’s show to talk about the effect venture capital is having on the security ecosystem. He thinks VC money often makes weak ideas look strong, and in a market where it’s quite difficult to make informed purchasing decisions, that’s not a good thing. Patrick Gray 🥚 on Twitter: "Great scoop from @Commsday Looks like @ASDGovAu is going to rip up its contract with @Cloudflare because they host Nazi forums.… https://t.co/uhqC2EIVbY"
This is a wholly sponsored podcast brought to you by Duo Security. WebAuthn is a new multifactor authentication standard for the web that is all rooted in very smart encryption tech. Some of you would already be using similar authentication standards in apps without even thinking about it, like doing biometric authentication in your banking apps. You want to log in via your app and it scans your face to auth you, that sort of thing. WebAuthn makes those types of authentication actions available to users through the browser. It’s now an official W3C standard supported by most browsers. It’s the future of auth on the Web. Duo Security has been involved a little bit with the standards process and in this edition of the Soap Box podcast you’re going to hear a nearly hour long conversation between myself, Nick Steele and James Barclay who are Duo’s resident Webauthn dudes at Duo Labs. GitHub - duo-labs/android-webauthn-authenticator: A WebAuthn Authenticator for Android leveraging hardware-backed key storage and biometric user verification. Citrix owned, Resecurity claims it was Iran. Again. Because reasons, apparently. This week’s sponsor is Senetas. They make layer 2 encryption gear but recently made a US$8m investment into Votiro, a Content Disarm and Reconstruction (CDR) play. Votiro CEO Aviv Grafi is this week’s sponsor guest. He stops by to explain CDR tech. Deacon Blues on Twitter: "Have about closed the loop on who is behind Resecurity, the mysterious company attributing the Citrix hack to Iran. It seems to be the work of one man, Andrey Andreevich Komarov, aka Andrew Komarov.… https://t.co/9fbWuEwqdL"
Pipes on Twitter: "Google TAG have run down and identified iOS, Chrome and Windows 0days in the last few weeks. @ShaneHuntley Are we going to get some insight on which group you folk are pulling apart later? Sounds like fun times 😉"
This week’s show is brought to you by Remediant. Their CEO Tim Keeler will be along in this week’s sponsor segment to talk about how they’re doing “virtual directory binding” to make managing Linux accounts via Active Directory less traumatic. If you’re struggling with horrible, horrible PAM solutions in your devops environments have a listen to that one. There’s no news segment in this week’s show. Instead, you’re going to hear a long-form feature interview I did with the NSA’s Rob Joyce. Rob is probably best known for his tenure as special assistant to the president on cybersecurity and for being the cybersecurity coordinator on the US National Security Council. He also served as acting homeland security advisor to Donald Trump for a short time following the departure of Tom Bossert from the Whitehouse. In May last year he went back to NSA where he now serves as a senior advisor to the director of NSA for Cyber Security strategy. But gradually over the last couple of years Rob has emerged as a sort of friendly-face of NSA, at least as far as the infosec industry is concerned. He’s spoke at DEF CON last year, he often appears at events and on panels and he’s doesn’t seem terrified of actually comment on things. This is a huge departure from the historical way agencies like NSA handled themselves. But as you’ll hear, Rob sees this new approach as being vital to the NSA’s current-day mission. We also have a sponsor interview for you this week with Zane Lackey, the co-founder of Signal Sciences. I guess you’d call these guys “next generation WAF,” more on that later… but Zane will be along a little bit later with some pretty incredible stats on the way security spending has changed over the last year or two. Money is just piling into appsec while spending on some other controls is actually reducing. It’s a sign of change. This week’s show is brought to you by Thinkst Canary – they make hardware honeypots and the tools you need to deploy canarytokens at scale. They also make virtual honeypots! This week Thinkst’s founder Haroon Meer will be along to wave his finger at basically all of us over what he sees as the security discipline’s tendency to not really learn anything from security conferences. It’s “contertainment,” he says, followed by “GET OFF MY LAWN”. Spencer Dailey on Twitter: "hard to understate how bad this flaw is--shocked more pubs haven't picked up on this. The affected chip is ubiquitous, the potential exploits allow anyone within wifi-range to run arbitrary code on the machine. Wifi routers themselves use affected chip 🤯 https://t.co/XQx4SobJtj"
Lesley Carhart on Twitter: "At the very least I’ll be able to publish these questions so that other people can grill their properties should they forcibly migrate to IoT equipment." 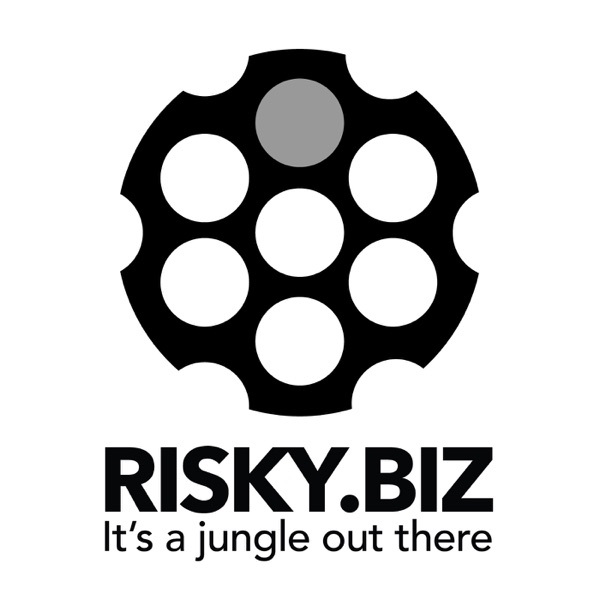 This is the last weekly Risky Business podcast for 2018. We’ll be posting a Soap Box edition early next week then going on break until January 9. This week’s show is sponsored by Bugcrowd. In this week’s sponsor interview Bugcrowd’s CTO and founder Casey Ellis tells us why his company is launching “pay for effort” products to run alongside bounty programs. Matthew Green on Twitter: "GCHQ has proposal to surveill encrypted messaging and phone calls. The idea is to use weaknesses in the “identity system” to create a surveillance backdoor. This is a bad idea for so many reasons. Thread. 1/ https://t.co/rnmo0eOWus"
Hacker Fantastic on Twitter: ""open-source is more secure than closed-source because you can view the source code" ... GNU inetutils <= 1.9.4 telnet.c multiple overflows https://t.co/O88psTlS1X"